19. April 2017 — Comments are off for this post. Three years ago I was starting e-shop selling teas. I saw an opportunity to promote its boost effect and sell it to the various workplaces. We have spent half a year building product, developing e-shop and branding. After a launch, we have sent four bags of tea. It was devastating. What did we wrong? Was that positioning of a product, or product itself? Besides looking for ways to improve, we decided to focus on other activities and quit. Every business owner knows, doing things people need is the only way to success. But how to make sure people won't reject your idea? Is there any way to design a product for success? Human Centered Design looks like a promising answer. Human Centered Design (HCD) is a design process oriented on people needs. Doing it, you are constantly interviewing and understanding people you are designing for. You can use its pre-made techniques and quickly implement it to your process. Typical client centered design process also care about the user, but there is a person who is always more important - the client who is paying. There is nothing wrong about that unless client understands needs of his customers. Once there is a flaw of uncertainty, even with your best intentions you can end up building a useless thing. Take a goldfish walker for example. Identify people you are designing for and invite them to the process. Rather than asking them what they want, observe how they operate. Create storyboard capturing situation with your product and identify points of the pain. Great way how to avoid false assumption is to include everybody responsible, to the process. Organize a workshop for all CEOs, stakeholders and decision makers. 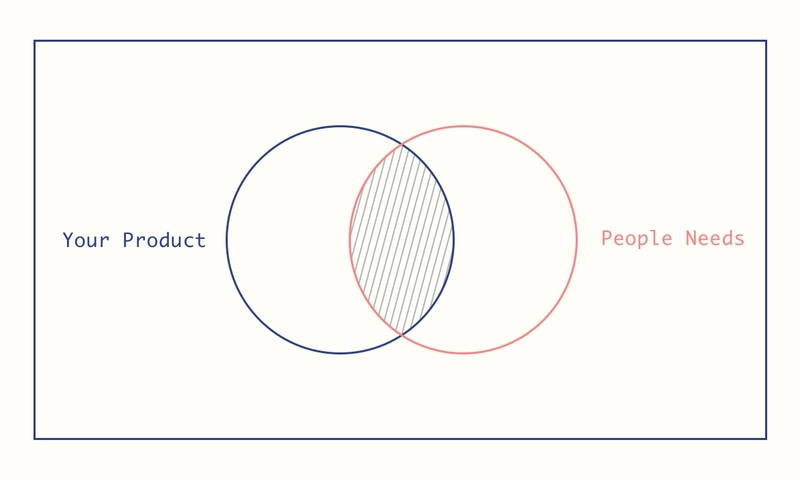 Everyone working on your product is a designer. Make sure you have clear business goals and solving needs of the customers. Create a representative persona and place it on the visible spot, to remain who’s problems are you solving. It may feel uncomfortable to get everybody talking you to your work. However, embracing ambiguity during process loosen up tension and help you open the doors to valuable insights. Operating on a level of possibilities and concepts is always less expensive than product failure at the end of a project. Interviews with users and experts may uncover key insights, what makes final solution looks obvious. You never know where you find it. Maybe short talk with the cleaning lady in your office change whole direction. IDEO.org stood in front of a huge design challenge. They designed the whole service with HCD and the results were stunning. They spent six weeks of talking with sanitation experts, shadowing a toilet operator, understanding the history of sanitation in Ghana, and talking to scads of Ghanaians. All these interviews brought key insights about what the desired toilet should look like and how waste should be collected. Researchers ran a prototype. They used off-the-shelf cabin toilets and tested service at 80% of a cost. The results were surprisingly good. After that, they started manufacturing. Researched also learned during interviews, how the service should be positioned, early ideas around marketing and promotion, as well as certain technical limitations. Clean Team now serves 5,000 people in Kumasi, Ghana, making lives cleaner, healthier, and more dignified. The design process has few different phases. You first need to understand the problem, and you look for some inspiration. After that brain starts thinking about a possible solution. It generates tons of ideas a what may work. Some of them may be unreal some out of the budget, but some may be promising to implement. This idea is the one what you want to make real. Client centered design focuses mainly on the last phase. Client hire designer just to do the work. Endless questions from the designer feel like slowing a process. Usually, it’s compressed to a few meetings where Inspiration and Ideation phase takes place. Implementation creates the main part of work and has 3 possible outcomes. The client will reject, feedback or accept design. As you noticed, there is no touch with the people for whom is the design made. And every decision stands on designer's and client’s understanding of the market. Inspiration, Ideation, and Implementation in HCD have approximately same duration. It stretches first 2 phases, to better understanding and more creative freedom exploring possible solutions. Actual work is on the other side reduced only to create a working prototype, which can be tested in real world, with a person who is similar to one hanging in your meeting room. Last months, fellow designers and I took part in Human Centred Design course. At our after-work meetings, we wanted to take a look at social media addiction, which is reported by various resources, and it also touches our lives. With this goal, we identified points of pain and formed "How Might We..." question. Since the temporary effect of browsing news feed is positive, people feel regret after that, and sometimes they appear scrolling even without the intention to do so. How might we increase a quality of time spending on Facebook for young people? We have interviewed five daily Facebook users and one psychologist. Some feel depressed after browsing News Feed, others are not aware of that feeling. However, it is not associated with using other Facebook services as Messanger, Groups or Events. After this findings, we re-framed our original challenge. How might we make news feed more about friends and give it form where a user has more control over it? Generating various ideas of implementation, we decided to implement News Feed to Messenger bot. After quick research, we built a simulated facebook News Feed Bot without line a code and got it to the hands of users. Testing the prototype showed people are used to scrolling form and this one seemed to them wired. Sequencing information gives them control, but also slowing them down and make users unable to scan content quickly. Added value of suggested solution is in curating and reducing content. In the next iteration, we would give up a messenger bot form. And look for ways how to serve more scannable and enjoyable content. Also with the problem in mind, to protect people feeling pain after interacting with the Facebook product. Since this project failed to fulfill its goal, it generated a lot of insights, what could we re-use in another form. During the process, we felt the urge to built our own messenger bot straight away. Doing it we would end up spending months of development, on things nobody needs. Same as with the tea e-shop. And this is exactly where is the value of HCD. Is the HCD the ultimate process for designing? Certainly not. Ultimate solutions don’t exist in this messy world. It always depends on the context you are working on. HCD has certainly place in big projects, where long testing and interviewing is less expensive than the final product. It also helps understand people you are not familiar with, for example, the ones living in extreme poverty. Once the client has such a good understanding of the market, there is any need to waste a time with research. Small startups may find useful only some parts of a process, because they solve the problem of usefulness, by quick pivoting. Understanding of both design approaches will lead you to do a better informed decision. So that you can pick up berries from the both worlds. Anyway, there are few takeaways, you could apply right now to get a better understanding of people you are designing for. Find ways to know your clients. Look for data of people using your product, examine support tickets or just go to the market and sell your product personally. Creating empathy and understanding them helps you create obvious solutions. Get in touch with them but do not ask them, show them what are you working on and observe actions. Never show an unfinished product. If yes, always find a way how to make it look like the final one. All these features you have in your head will wait, and you can get valuable feedback and start selling. The creative process generates tons of ideas. Sadly, nobody can see into your head. Get ideas out. Write them, capture photos or make paper prototypes. Then other people can contribute, and you may find new solutions, you overlooked. Remember that creative genius called Leonardo Da Vinci? He left hundreds of his thoughts on paper. Not because he needed to prove the world, he was the genius. Rather he was putting the ideas to the reality. Design Kit - great place to start. It explains everything around process and shows specific methods. It is developed by IDEO.org, who are doing great work in spreading this approach. DESIGN KIT: THE COURSE FOR HUMAN-CENTERED DESIGN - you can enroll until May 23rd, 2017. Good for applying theoretical knowledge in the real world. For better implementation to your design process, you should look for some qualified instructor. Change by Design: How Design Thinking Transforms Organizations and Inspires Innovation - easy-readable book illustrating how design thinking could be used through all range of business challenges. With great examples and business implications. Complete Beginner’s Guide to UX Research - great place to start. 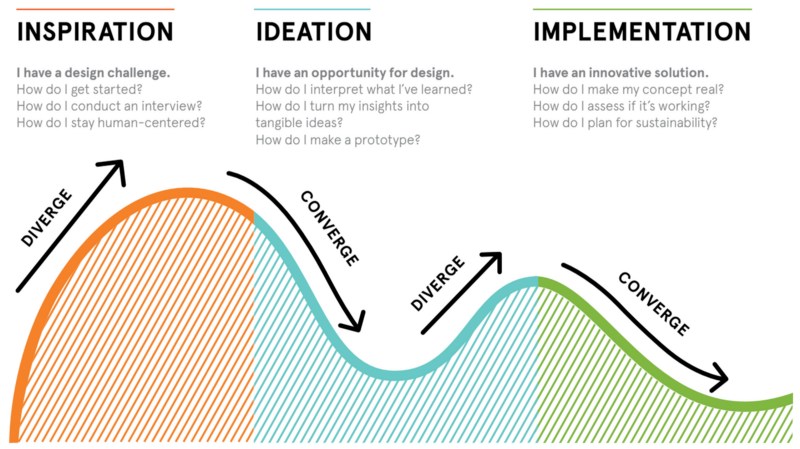 How to apply a design thinking, HCD, UX or any creative process from scratch - more in-depth explanation of the mentioned design process. I would like to thank Jakub and Patrick, who took a part in HCD course. Do you find this article useful? Click the heart to let me know. Also, you can tweet me your thoughts. Looking forward hearing from you.